When I was in college, one of my friends did a semester exchange at Columbia. When she returned to campus, I asked her how her learning experience there compared to her experience at our university. 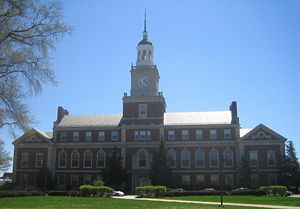 As some of you might know, I went to Howard University, which is a historically black college (HBCU). With all of the constant debate surrounding the merits and relevance of HBCUs, I asked her if she had felt that Columbia’s curriculum had been more rigorous or difficult and if she’d felt that she had learned more. “Not really,” I remember her telling me. “If anything, I feel like they are still debating the existence of issues that we (at Howard) already acknowledge and are trying to figure out how to solve. One of today’s controversial topics of choice was affirmative action. In just a year and a half at this institution, I have already had more “discussions” about affirmative action than I can stand–not counting all of the years I had to hear about it before I even got here. And understand, this is not a post about affirmative action, because, guess what: I don’t want to know nor do I care what you think about it. Really, I don’t. Many of you don’t like it: I get that. I only ask that you stop subjecting me to your feelings about it. Some people might argue that discussion is essential to forthcoming action. I disagree. I don’t think that a bunch of (mostly not “of color,” urban, or poor) legal scholars sitting around in a room pontificating about the constitutionality of a policy that many people in the room can’t stand is doing anything to address educational disparities in urban and/or poor communities of color. I’m not even convinced that educational disparity is the main issue, but I digress… However, I do know that little third-grade Charlie, whom many people feel so comfortable talking about but have never met, probably doesn’t care about whether or not the Supreme Court used “strict scrutiny” to analyze a case that might affect his future. Am I supposed to be grateful that my classmates haven’t forced my peers and I to walk around wearing “AA” on our foreheads? Wait, wait, wait. Maybe I’m being too superficial. Maybe we get perspective from it. Maybe we’ve changed some people’s minds, made them understand. Still, somehow, I doubt that because this is the fifty-leventh time that we’ve discussed it and I’m still hearing the same arguments and I still get that you don’t like it. What if I said that I don’t like it either? What if I said that I’m not the begging type, and I don’t want to be anywhere that I’m not wanted? What if I said that my friend was right and that I’m not surprised that we can’t come up with solutions to these problems because in 2014 you’re still debating the validity of the connection between poverty and educational performance? What if I said that I don’t feel like debating my intelligence, worth, capabilities, identity, or my culture and that I don’t have to? What if I refused to? What if I realized that no one else ever has to do that? What if you did too? I know that not everyone will understand this. Not everyone will understand why I get so worked up about this. They’ll think I’m defensive or sensitive, and they won’t get that this is not about my personal offense. I’m a pretty self-reflective person who is able to admit my insecurities–and I promise you that this is not one of them. I know exactly who I am and what I’m capable of, with or without mainstream metrics of achievement. Rather, it offends me that certain people think that it’s okay to tell other people what they think their place and/or problem is: the rich telling the poor, New Yorkers telling Texans, etc. Who is anyone to do that? What do they know? It’s a presumptuous audacity with which I will never be comfortable. 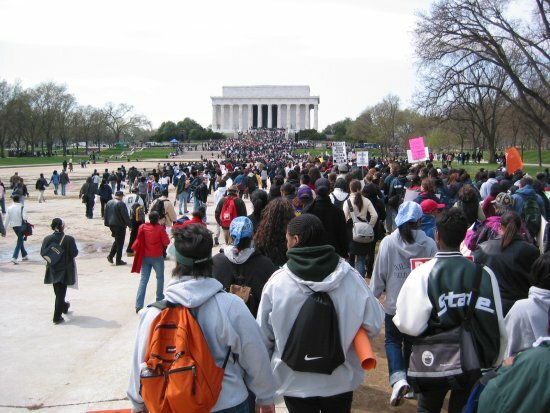 As I contemplated the argument about the relationship between diversity and candor, I thought about my experience at Howard, where we were able to have a wide variety of discussions on controversial topics and to speak with a freedom and sense of community and understanding that I only now fully appreciate and greatly miss. While I found myself shocked at some of my classmates’ values and opinions, it was there that I truly learned that diversity had to do with a lot more than skin color. I honestly don’t think that we felt comfortable discussing things because the majority of us were African American. I think we were able to talk because most of us came from similar positions (in the eyes of society, if not in class distinctions) and had a genuine interest in wanting to see things change and improve. We all had something to gain from the progressive motion of the universe. So, that’s how I know that candor does not come from homogeneity, it comes from privilege–feelings of freedom, security, justification, and confidence. Worse than that, oftentimes candor has no purpose. Someone gets to say something just because it’s on his mind, regardless of its accuracy, relevance, or tangible or emotional effect–that’s what some people confuse as their First Amendment right. It’s the difference between being able to discuss solutions to problems and being forced to listen to diatribes of cultural superiority couched in legalese. Unfortunately, I have come to the realization that not everyone gets to be candid because some people have more to lose than others. This weekend I returned to my alma mater for my first homecoming as an alum. You may be thinking, “already?” “You do know you only graduated 5 months ago, right?” However, aside from the fact that my school’s homecoming celebrations are pretty much notorious, I knew that I missed my friends and that I needed a brief law school break. I’m not sure I really even have the words to describe the many emotions I would associate with the experience, so I’m going to be a little creative. Please bear with me. The baseline pounded louder and stronger in my head as I went from class to class, then eventually to the bus stop, then from Union Station to the Metro as I headed back to campus. At that point, I wasn’t really thinking about any particular aspects of my return too much. I was just excited. In the Metro station on my way back to campus, I ran into one of my friends. Of course, we stopped and screamed and hugged. Then it hit me. While hugging a friend that I had gotten used to seeing practically every day but suddenly hadn’t seen in months, I allowed myself to really feel what I had been feeling for months. I allowed myself to acknowledge how much I missed seeing certain faces and talking to people–how much I missed hugs! As I approached campus and went past the CVS on Georgia Ave., the hospital, and Torrie’s Restaurant (which used to be Wilson’s and served food at the most random times), to my shock and surprise, I could feel myself getting choked up. Even on graduation day, as I came down that same street in my cap and gown for what I knew would be the last time as a student, I had not felt anything like I felt in that moment. When I was in undergrad (still can’t fully believe I get to say that in the past tense, but I’ll get used to it eventually) people always said that homecoming wasn’t for the current students; it was for the alumni. And technically, I knew they were right. It’s not really a “homecoming” for current students because current students are already home. Now, however, I finally understand what it all means. I understand the people who wait all year for that weekend, who coordinate their schedules and rearrange their lives so they can be present. While I used to be highly annoyed trying to navigate them, I understand the enormous crowds on the Yard. I understand the people who shout at the players on the field as though they are their children (although some of them might actually be). It is their one real moment to be who they were again, in the place that helped get them to where they are.